BLT Dezignz: 2 New CU4CU Products Going In all Stores!! There are 5 Retro Colored Papers with the Bokeh "sparkle". These are 3600x3600 300 dpi. Color them or use them to overlay your papers and such! Happy Creating! 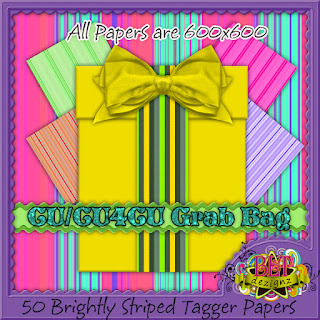 There are 50 Brightly colored striped papers! All are colorful, all are sized at 600x600. There are various colors and various patterns (of stripes)! The gift box is not included.